About a year ago I went through a phase where I was playing with patterns so that I could make my own acid-free washi tape (because most of what you buy is NOT acid free). I think I’m past that now, but thought that I should post some of the files that are back in season. 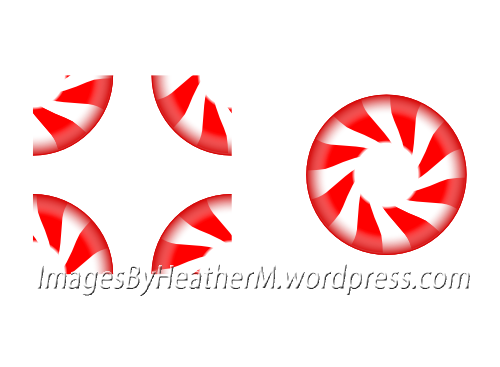 I made a seamless pattern element and a single candy element. The elements can be used to make your own patterns. I’ve also made a high res paper that you can use as-is. 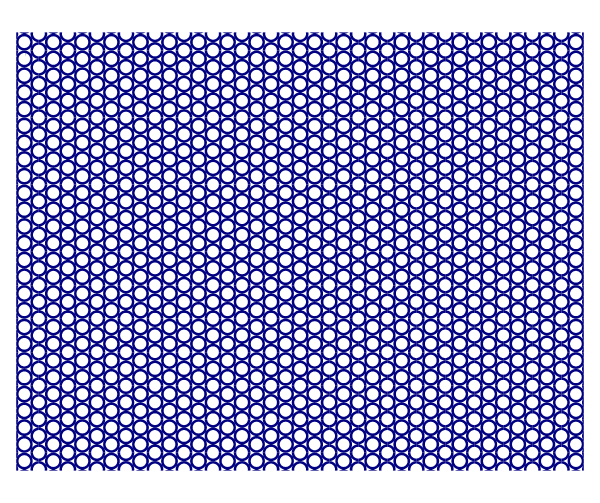 Let me know if anyone is interested in an Inkscape tutorial on patterns. I think I started one, and then never posted it. If anyone would like to see it, I can find it and finish it up. The element download is a zip file with two PNG image files with transparent backgrounds so that they can be layered over other elements or colors. The paper is high res with a solid background. Download the element files here. 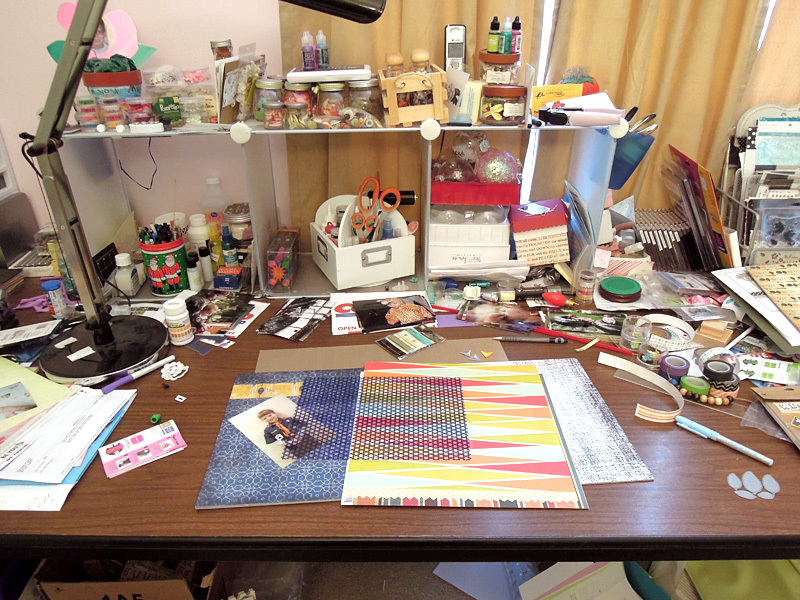 Here’s what my workspace looks like today for What’s on Your Workdesk? Wednesday. I’m in the paper selection phase for the LO on my table, but I’m struggling with this one. I think I’m going to use a transparency that I created and printed to use as an overlay. 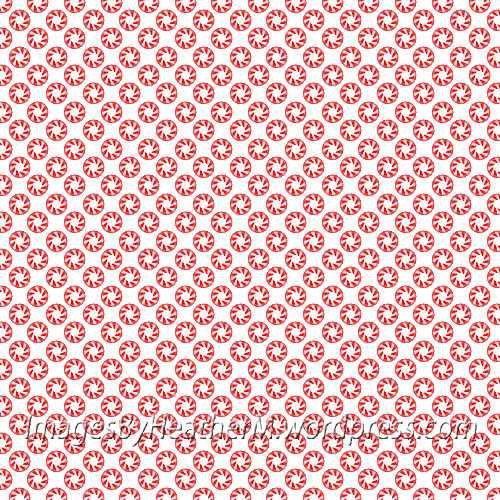 I am posting the circle pattern that I used for my overlay as a freebie today. For some reason I’m making more image files than cutting files recently. I should have some more Inkscape tutorials soon. The download is a PNG image file with a transparent background.